Due to today’s sophisticated technologies and inventions we can do anything we want: starting from travelling without leaving our homes, communicating with people from different parts of the world and ending with destroying the humanity without blinking an eye. But there are a lot of inventions that may have devastating consequences while used or lead to mass destruction of the world’s population. 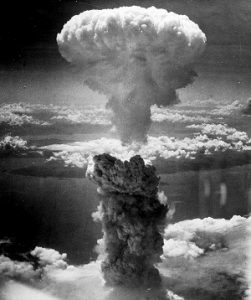 And that is exactly what the atomic bomb invention is about, the most calamitous and devastating weapon ever known to a mankind.